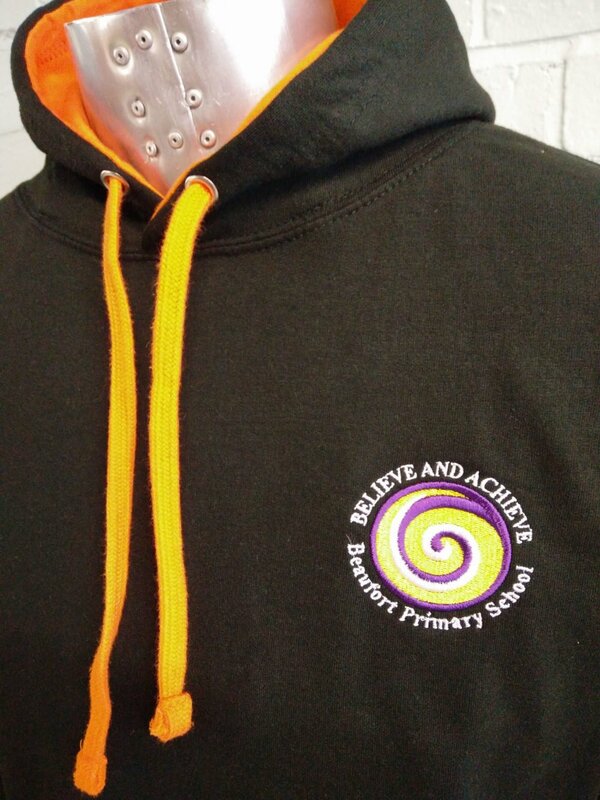 Duo colour Leavers Hoodies for Beaufort Primary School. 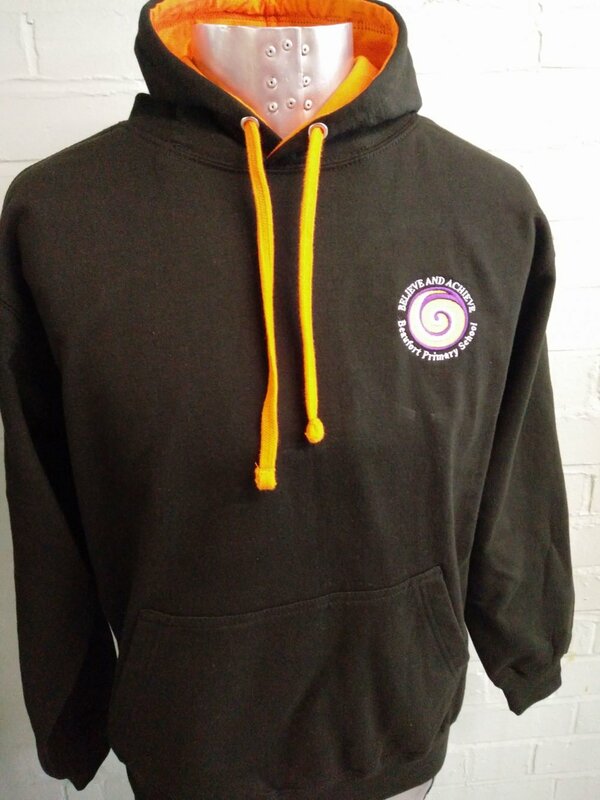 These come in Black and Yellow for the school and have a custom embroidered logo on the front in full colour. 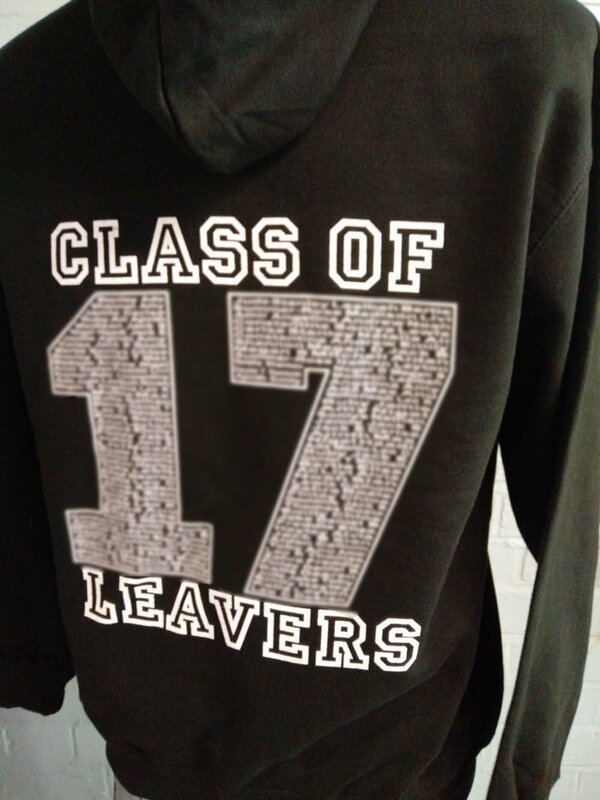 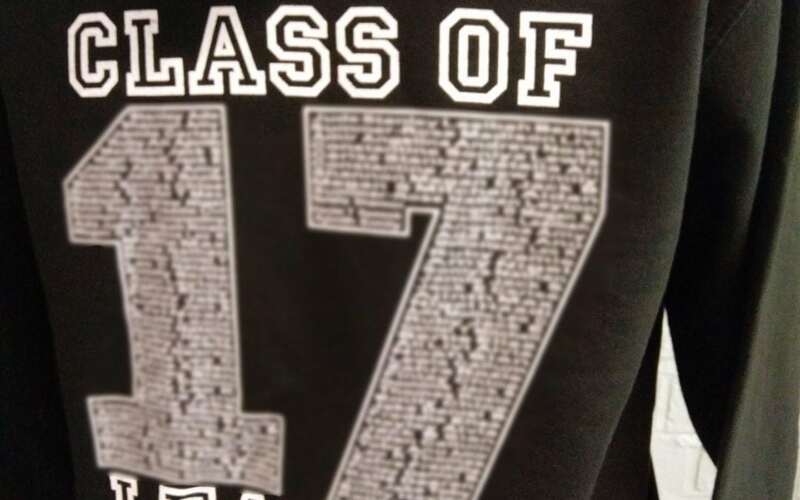 With custom “Leavers Names” print on the back in white.